Collection of brave women participating in revolutionary activities. 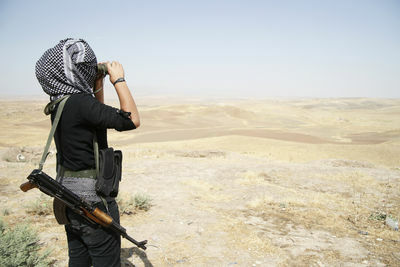 A female figher of the Kurdish self defense forces YPG watches the movement on the Iraqi side of the boder. 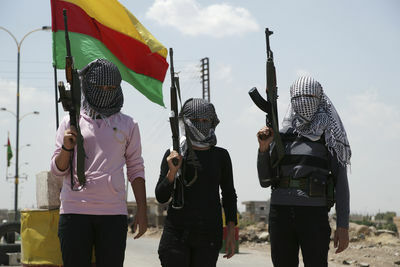 Kurdish fighters have taken several Syrian border posts under control in the recent days. 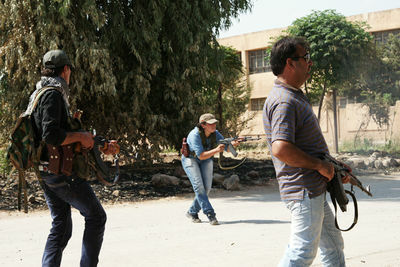 A female Kurdish fighter shoots in the direction of Syrian soldiers in the city of Derik. Around 80 Syrian army soldiers did not surrender during the takeover of the city by Kurdish forces. Fighting broke out and lasted for several hours. A Kurdish female fighter from the Kurdish defense forces YPG prepares a RPG for an assault against the Military Security Headquarter of Derik, a Kurdish dominated city in Northeast Syria. 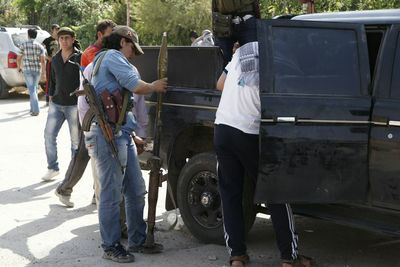 Battle broke out in the city center, where around 80 Syrian Army soldiers do not surrender. One Kurdish YPG (Peoples Defense Union) fighter got killed, several Syrian Army soldiers wounded.